Can't wait to see, Tamyra! I love that blue Heron! I have 2 blue Heron paintings at our summer cottage and we have a blue Heron that visits our dock regularly. My family calls it "my bird" as in, "Mom, your bird is on the dock." I think they are so elegant. 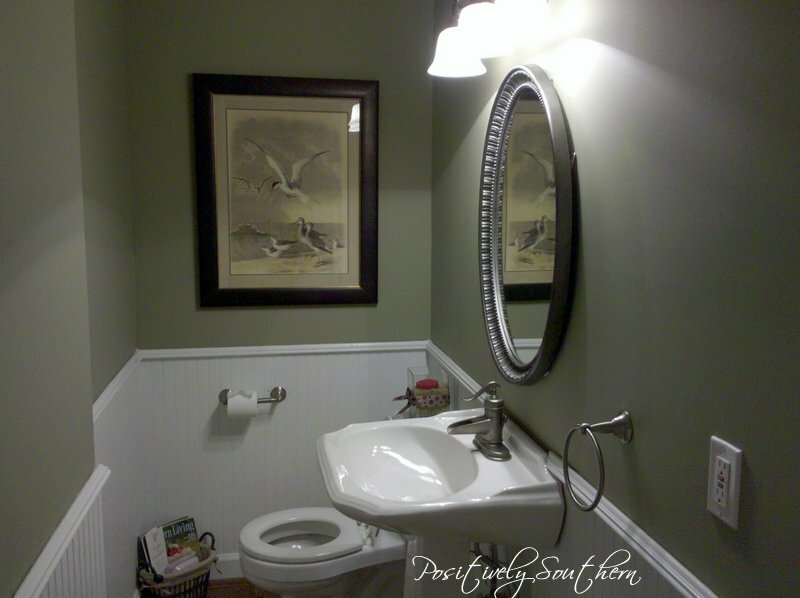 I know that the painting will be the "piece de resistance" for your powder room! Pat, I would love to see those blue herons at your cottage, they are such beautiful birds! Thanks so much for the kinds words. I do think that Revere Pewter is my new fav paint color! I am still searching for that mirror...one day!